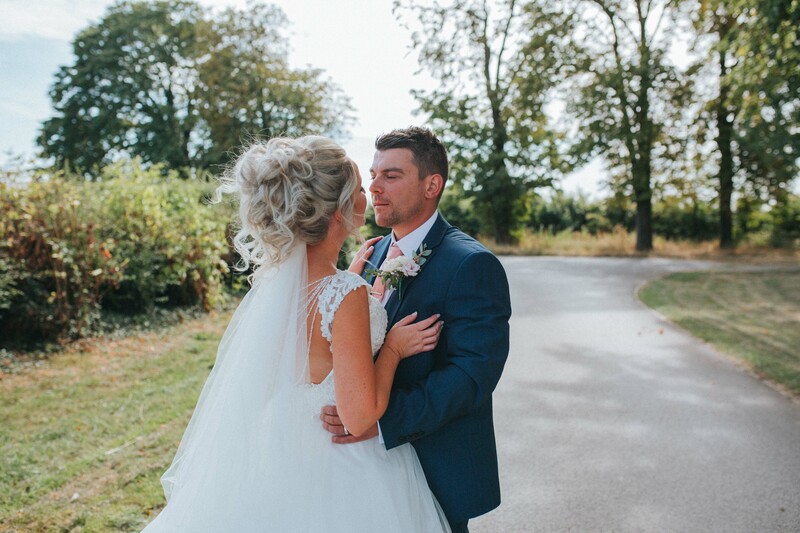 We knew Hannah long before she was a Hornington Bride to be, as she is an amazing hair stylist and has worked her magic on many of our Brides for their big day. 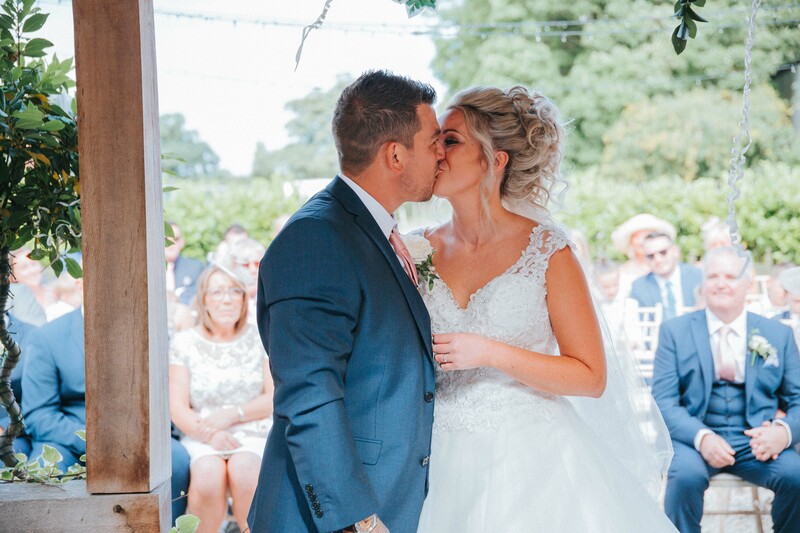 It was on one of these visits that Hannah fell in love with Hornington and just hoped her fiancé Ricky would feel the same! 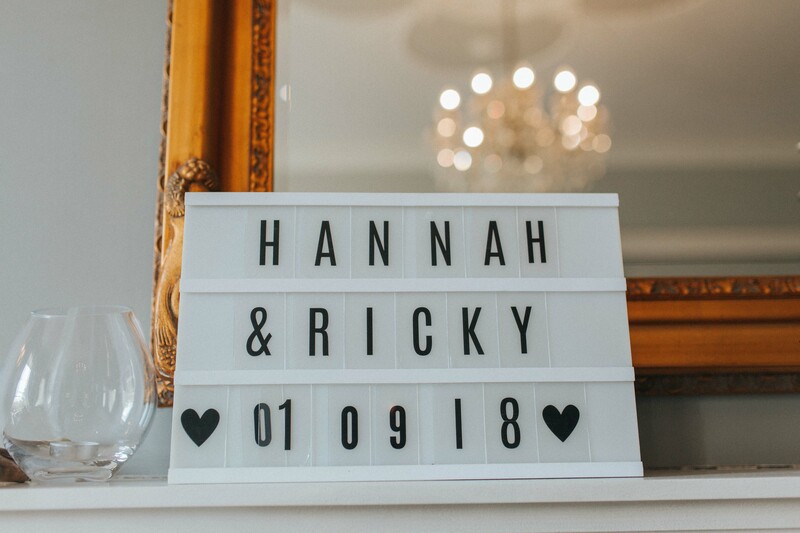 Luckily he did, and fast forward a couple of years and Hannah and Ricky arrived to prepare for their special day with all their loved ones and we couldn’t wait! 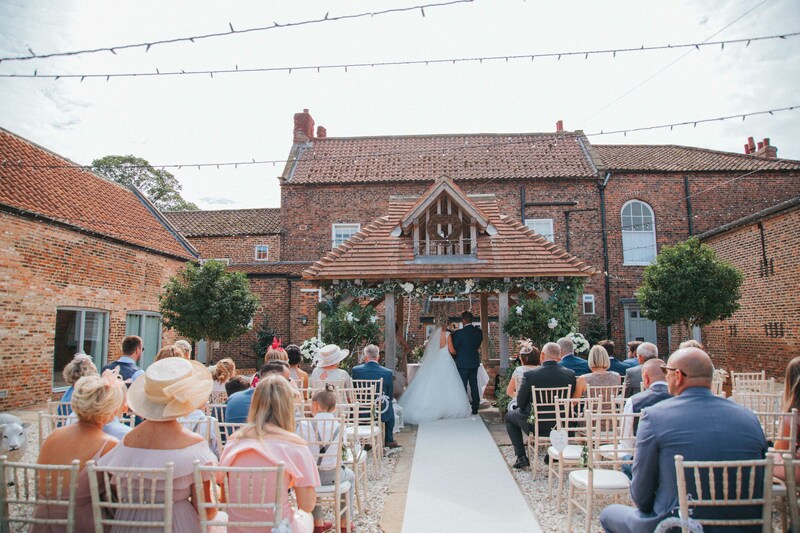 The weather was perfect and Hannah and Ricky held their ceremony under the Lych Gate. 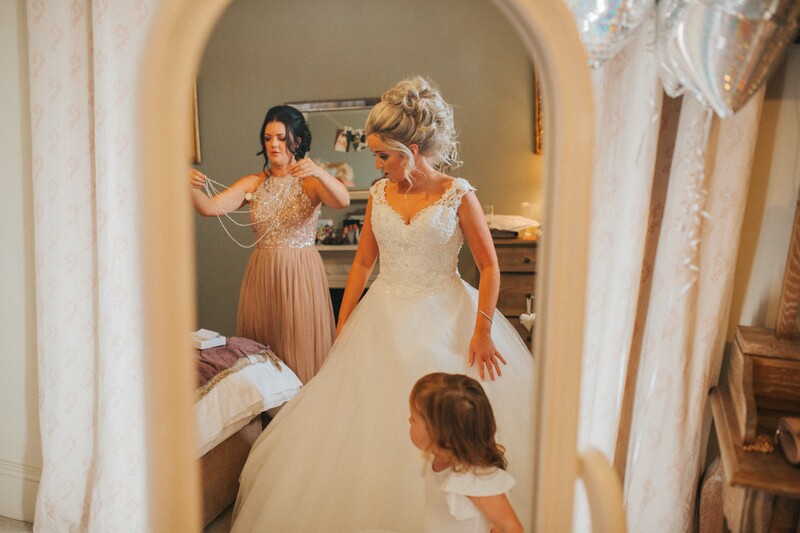 There was such a buzz in the West Wing where Hannah, her Bridesmaids and beautiful flower girls were getting ready. 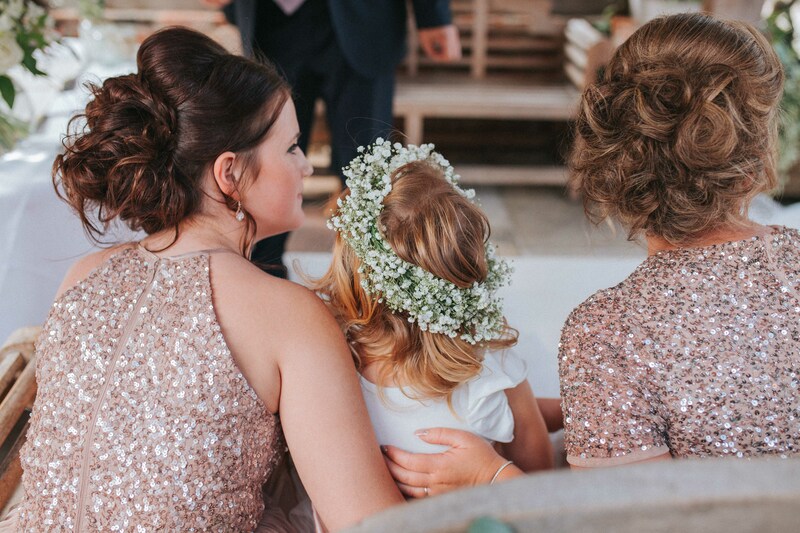 Hannah couldn’t resist styling her Bridesmaid’s hair, (and how stunning it was) but she asked Megan Boyne to do the honours for her own hair and it was beautiful. 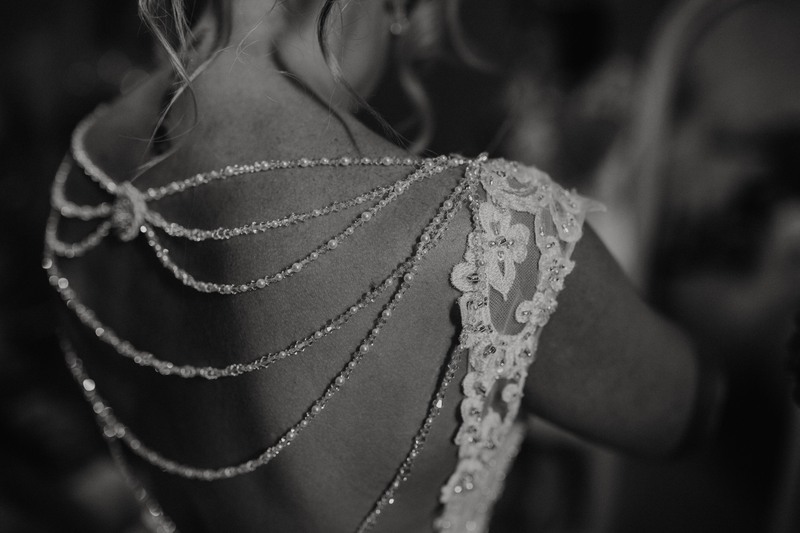 Once in the dress, she truly looked like a Princess who was ready to marry her Prince Charming. 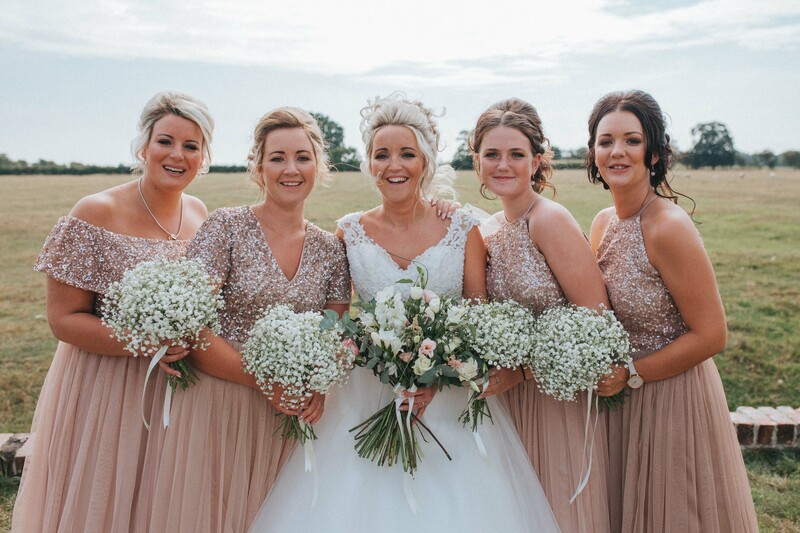 The Bridesmaid’s gowns were finished with gorgeous rose gold sequins and the different styles suited each of them perfectly. 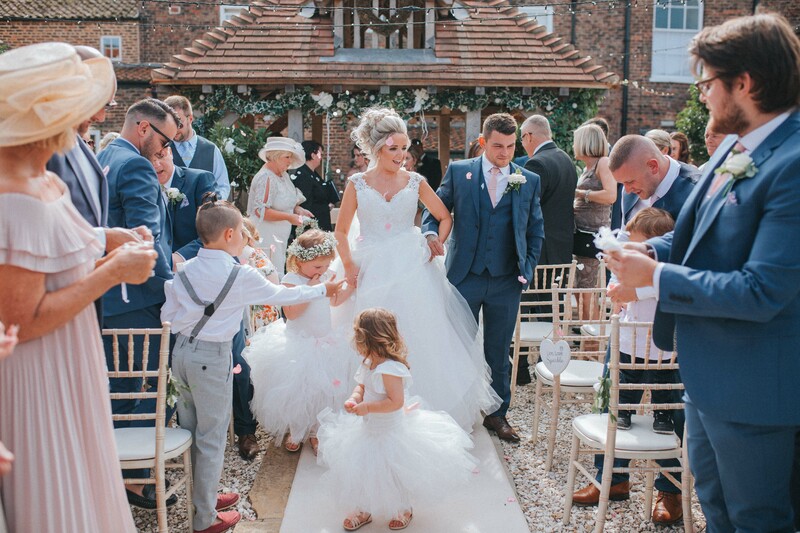 Once the ceremony was complete, the children could run wild and the guests could let their hair down. 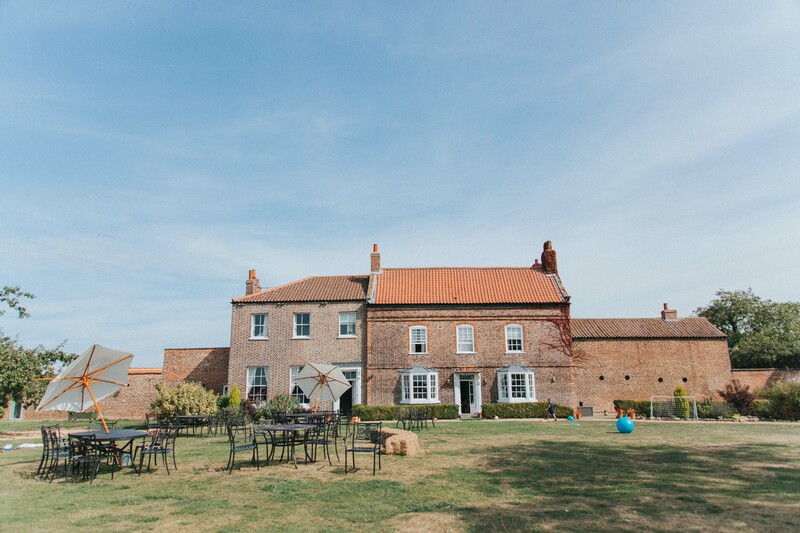 Reception drinks were served under the glorious sunshine on the front lawn. There was a bouncy castle for the kids while prosecco and beers entertained the adults! 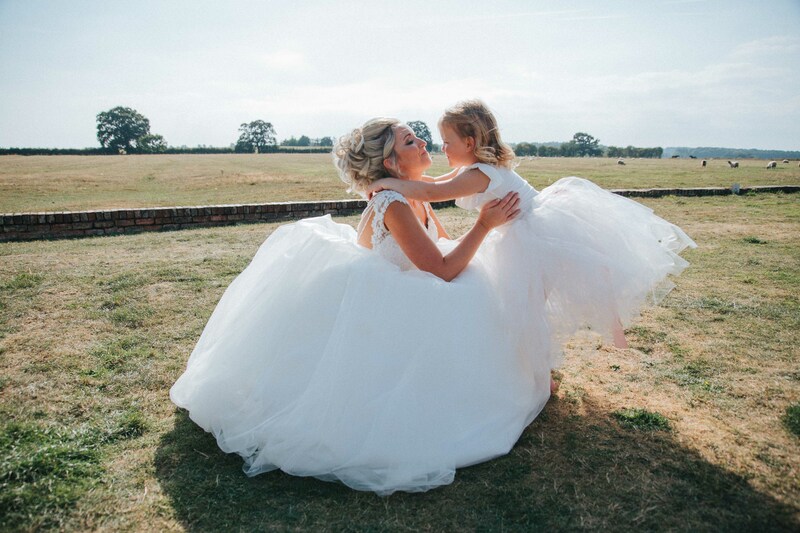 Hannah and Ricky’s gorgeous little girl Betsy was desperate for the dolly she had been promised and as she had been waiting so long for it, we surprised the three flower girls and they were so thrilled with their dollies! 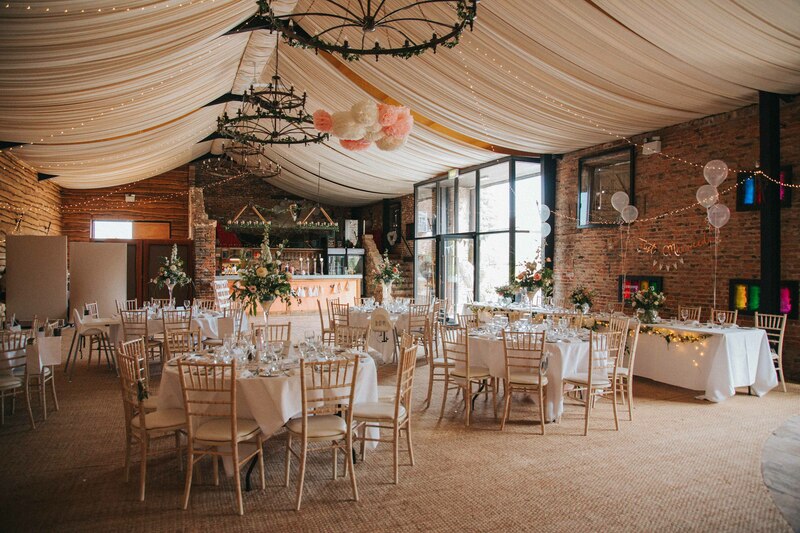 The barn looked amazing with twinkling lights and beautiful floral centerpieces. Hannah and Ricky had decorated wooden pallets with their photos over the years and it was lovely to see how far the pair had come together. 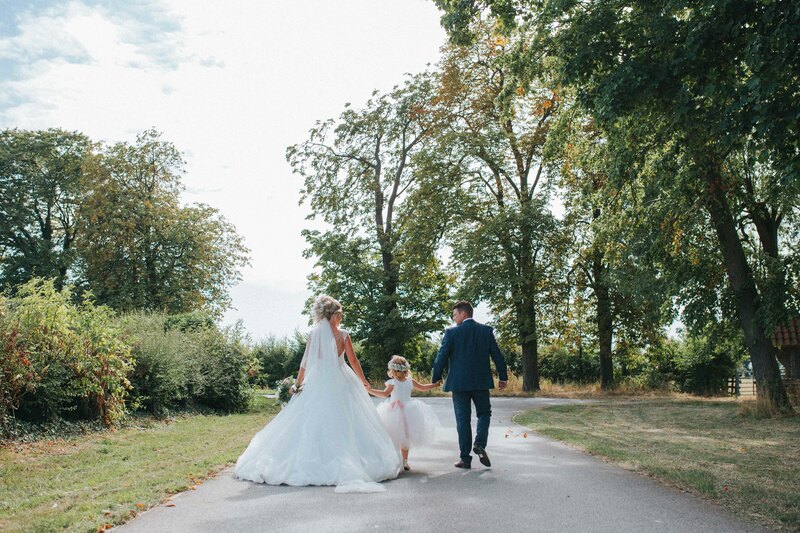 It was soon time for the speeches and Hannah’s Dad gushed at how his daughter and her new husband make such a great team and have an incredibly bright future ahead of them. 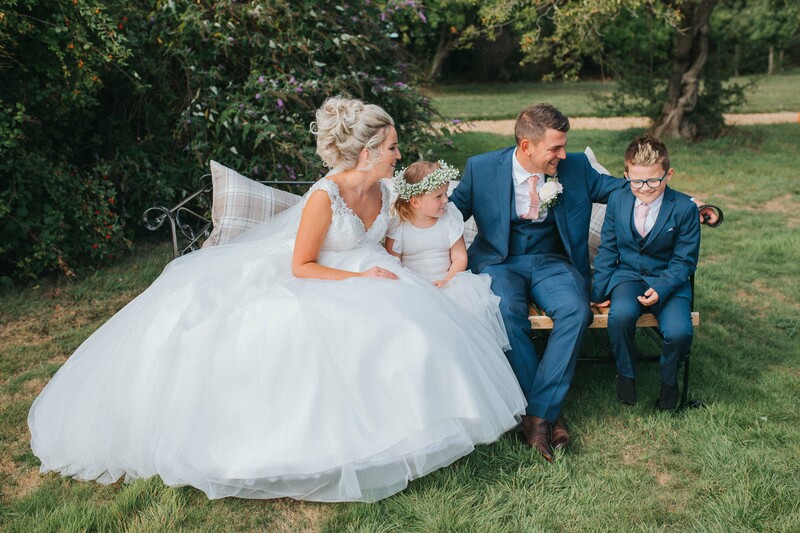 He read a little note from Connor and Betsy, Hannah and Ricky’s gorgeous children, which said how they are so happy that their Mummy and Daddy had got married, and now they all have the same name! 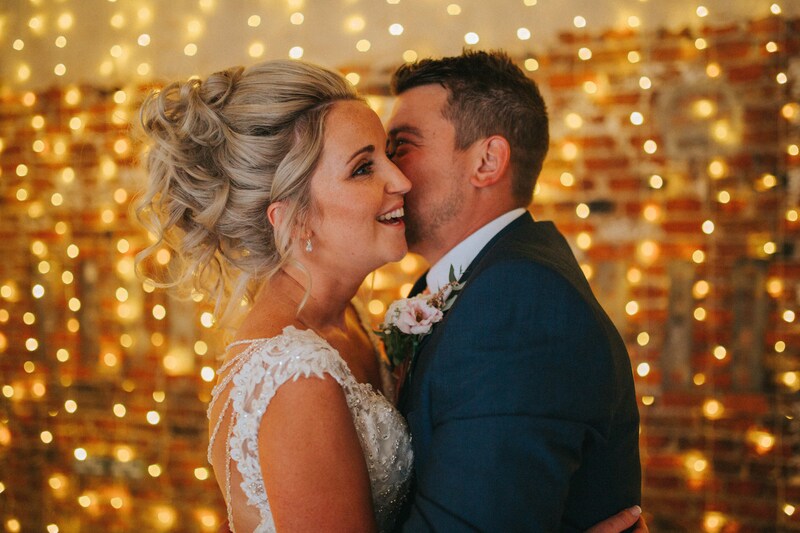 Ricky revealed how seeing Hannah walk down the aisle was one of the best moments of his life, other than their two children Connor and Betsy being born. 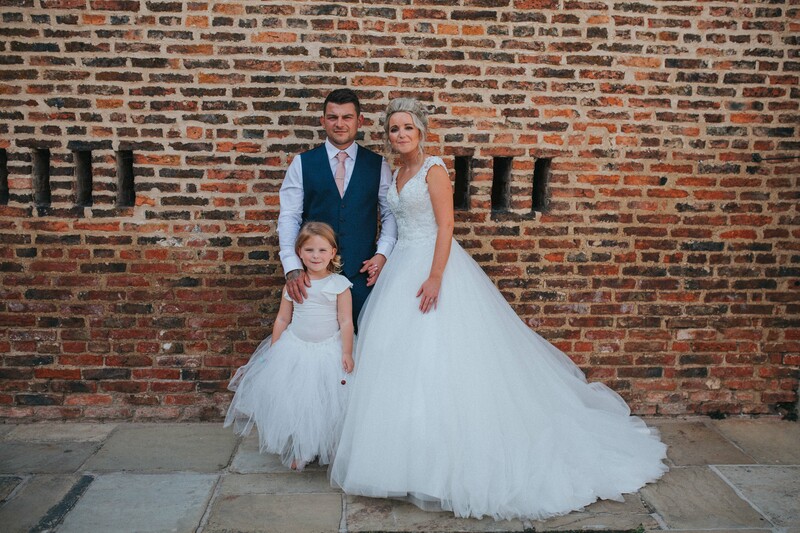 He said his wife looks incredible and thanked Hannah’s mum and dad for raising such an amazing person, and for welcoming him since day one. He then went on the thank his own parents, on behalf of Hannah, for raising a kind, caring, tall, hardworking, muscular, intelligent stud-muffin in himself! Both mums were presented with stunning bouquets as a thank you for all of their support. 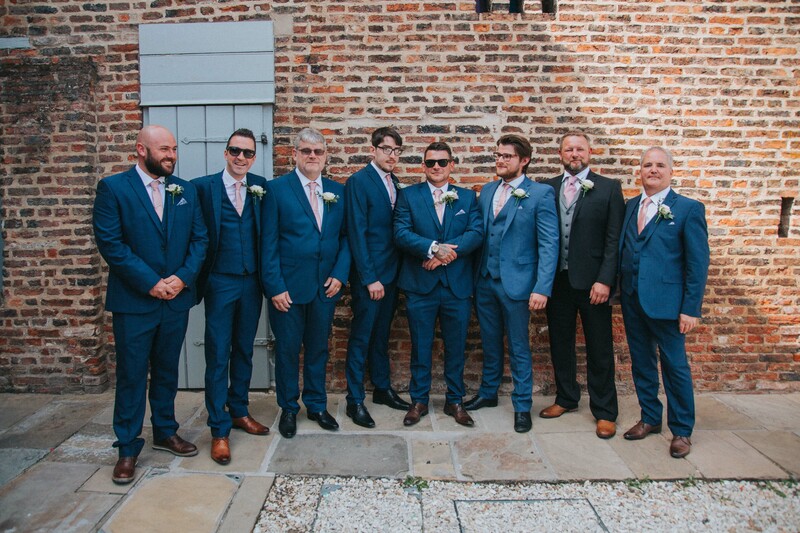 Ricky’s Best Man told us how Ricky has always been the life and soul of the party and produced his Record of Achievement from his school days. He read out a section of the report where Ricky’s teacher had said that Ricky doesn’t always commit himself to the topic and is often more concerned with entertaining his classmates! Speaking of school days, he then produced an enormous photo of Ricky as a child sporting a distinctive curtain hairstyle! 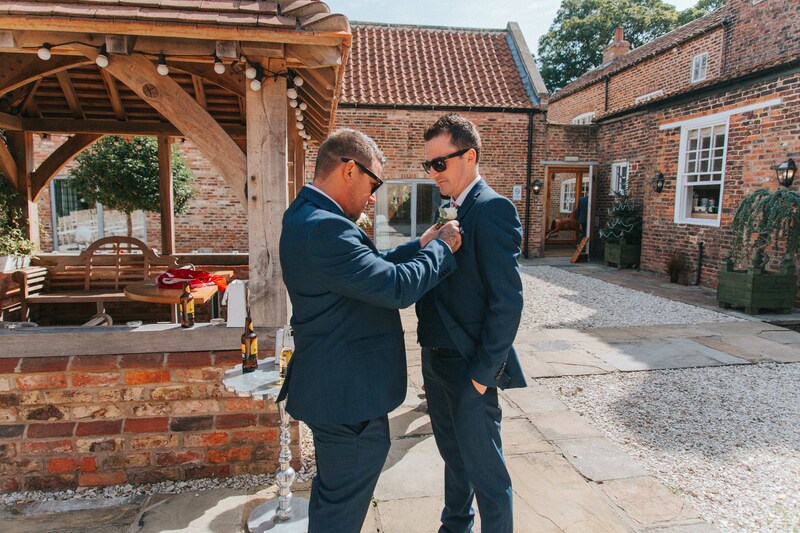 Ricky’s Best Man raised a toast to the family- the Ricky and Hannah, amazing parents with amazing children. Hannah’s brother James then said a few words on how Ricky is a fantastic guy and it is his privilege to now call him his Brother-in-law. 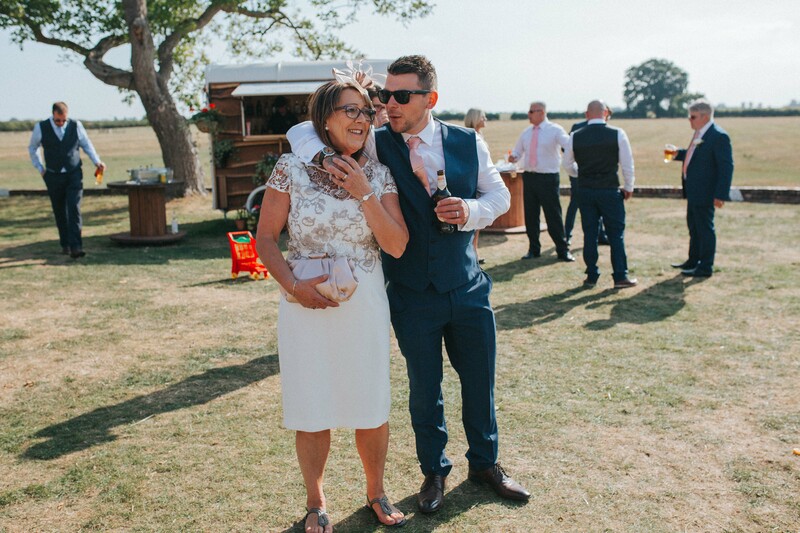 He admitted that he should have some lovely stories to share from his and Hannah’s childhood but the truth is, they hated each other until they were 19 so there isn’t much to tell! But one thing he could say, and it came as a word of advice to Hannah’s children, is that Hannah knows everything. Don’t even think about lying to her, she will know before you even say it! 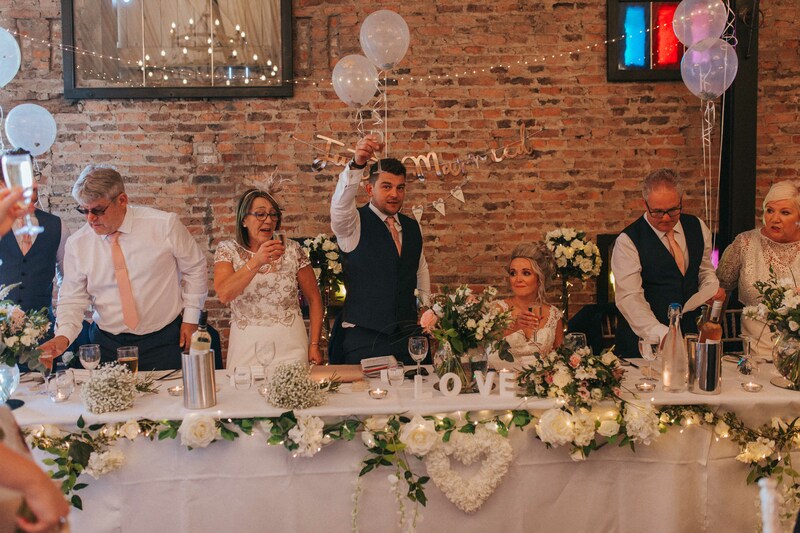 Poppy’s Catering served up a feast which was enjoyed before Hannah and Ricky’s first dance to ‘High’ by the Lighthouse Family. Jonny Ross Music entertained the guests all night with their DJ and Sax combo and it was a real hit! 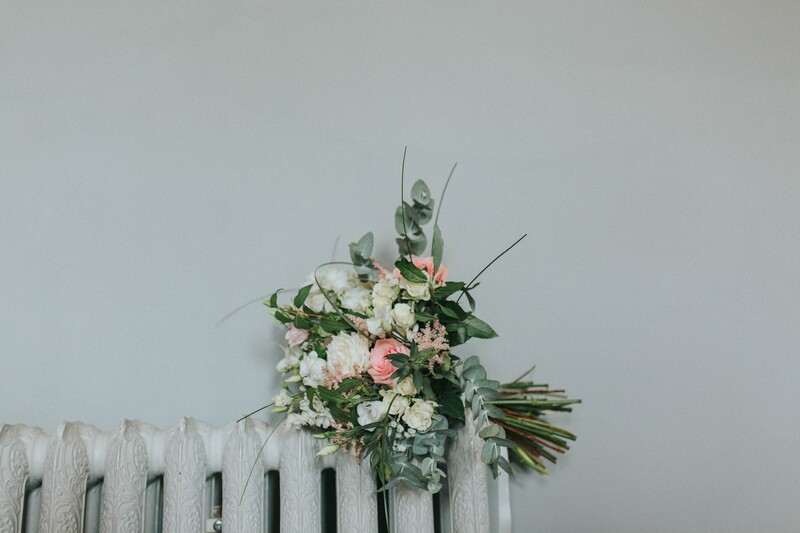 Sunday was spent reminiscing on the most perfect wedding with the help of a Prosecco cart which set up on the front lawn. 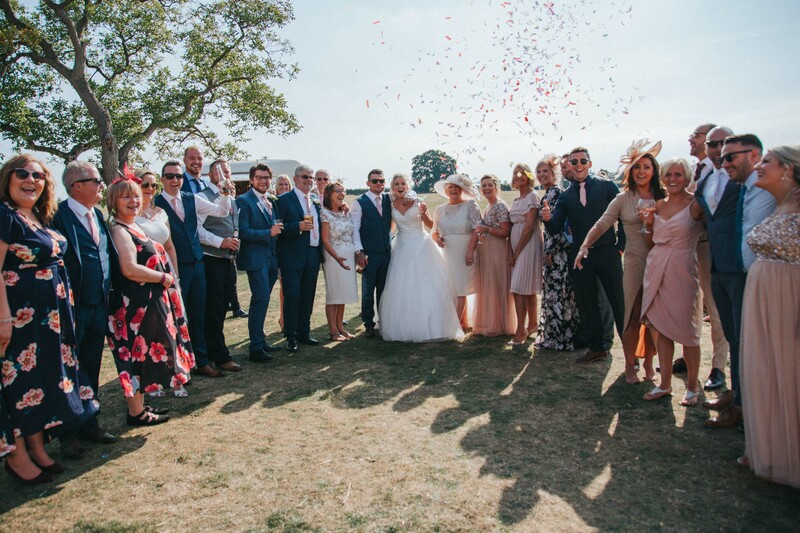 We loved celebrating with Hannah, Ricky and their lovely friends and family and we wish them all the happiness for their future together. Congratulations Mr and Mrs Murray!